Ansys expert from IIT Bombay conducted session Mechanical Engineering students. 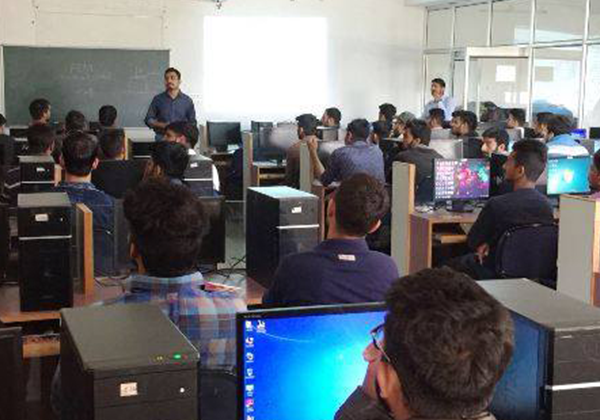 Department of Mechanical Engineering conducted a 2 hours session on Ansys for the 3rd and 4th yr students and session was conducted by Mr. Chirag Kothari expert on Ansys from IIT Bombay. http://www.pacific-it.ac.in/wp-content/uploads/2018/03/news-16.png 420 600 nirbhay http://www.pacific-it.ac.in/wp-content/uploads/2017/06/PIT-black-resize-1-min.png nirbhay2018-02-13 09:11:442018-05-23 11:10:52Ansys expert from IIT Bombay conducted session Mechanical Engineering students.